You are not along in muddling through the people issues that threaten to undermine your hard work and family business. 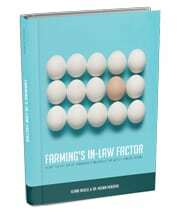 This book is the tool you need today to help you get more harmony on your farm. Buy a case of 28 books for a volume discount. Ask Elaine for special pricing. 200 pages of practical advice for more harmony on your farm. At last, a publication that addresses the ‘culture’ of agriculture and the often unspoken challenges faced when family, farm and business cultures intertwine and where tradition meets new ideas. 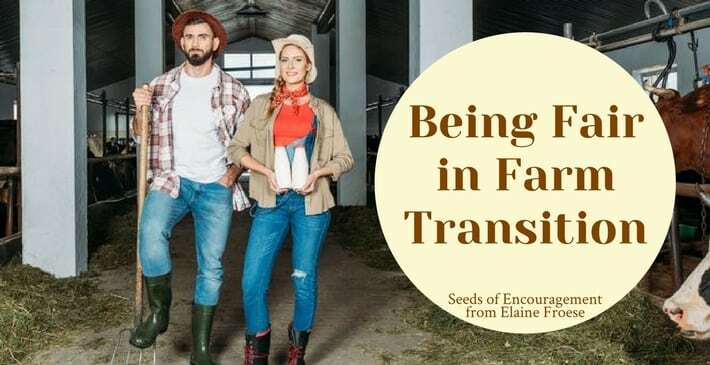 Enriched with raw experience and real stories, while treated with grace and a dash of humour, Elaine and Megan have carved out a space for the whole family, recognizing the role of in-laws and how the ‘family unit’ cannot move forward without considering farming’s in-law factor. This book should be required reading for anyone who is thinking about falling in love with a farmer. Moving to a family farm is a tricky step — there are a lot of ways to get it wrong. For farmers hoping to pass their farms on to the next generation, there are a lot of tips in this book to help you get started on the right foot.